CEL Recruitment 2019 – Central Electronics Limited (CEL) Job notification announced for Graduate Engineers in various disciplines through GATE 2019 Score. The detailed eligibility and application process are given below. Full time Bachelor’s Degree in relevant discipline with not less than 65% marks from AICTE approved/UGC recognized University. Only GATE-2019 qualified candidates in said disciplines shall be eligible to apply. Note: Final year/semester students shall also be eligible. However, they would have to obtain at least 65% marks in their engineering degree. Based on the GATE-2019 marks and requirement, candidates shall be shortlisted for Personal Interview. Note: Only GATE 2019 qualified candidates shall be eligible. If Previous GATE 2018 or GATE 2017 are not eligible. Mode of Payment: Online mode through Debit Card/Credit Card or Net Banking. 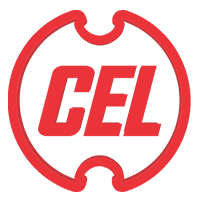 How to apply for CEL Recruitment 2019 for Graduate Engineers? All interested and eligible candidates apply for this position in online from 17 March 2019 to 16 April 2019.